CANBERRA – The recent announcement by the ACT Government to lift commercial property rates by an average of 9% could lead to a further escalation in vacancy rates in the ACT, said Ian Oliver managing Director of Capital Holdings Group, a firm that owns and manages commercial property in the ACT. Oliver went on to say “commercial property landlords have faced increases of close to 40% over the last three years and whilst some landlords may have the opportunity to pass on these costs to tenants, in a challenging market like the ACT, this is not always the case leaving property owners to absorb the increases. Also businesses are finding it increasing difficult to pass on their costs to consumers”. The property Council of Australia indicate in their February 2015 report that the Canberra office vacancy is at well above 12% – this is the second highest rate in Australia behind Brisbane at 15.6%. Vacancies in commercial areas outside Civic are close to 16%, the highest on record. Like many other cities in Australia, urban renewal has been firmly put on the table by the ACT government as urban decay in Civic becomes evident and they expect like many other cities that be older B and C grade buildings will be converted into residential developments over time. The ACT government will have to consider significant infrastructure spending to make sure that the influx of new residential places are catered for with parking and other services. Other cities are struggling with urban renewal through lack of planning of the infrastructure needed to support the concept. Urban renewal works when there are jobs and places for people to work close by. With the CPI index at 1.5% for the last year there is little doubt that the ACT government is taking a heavy-handed approach to business making them fund a significant proportion of government shortfall in income. For 30 years, successive ACT governments have talked about broadening the employment base in the ACT to try and attract commercial entities and larger business to see the ACT as a great place to live and trade. There is little doubt that any company doing their due diligence on moving to the ACT would have to take into consideration future rate increases close to 10% into the forward budget. “Very few businesses anywhere can budget a 10% increase in major property costs and it’s my view that over the medium term that this is not sustainable if the ACT’s goal is to attract further industrial and commercial business activity to the region”. Oliver commented. 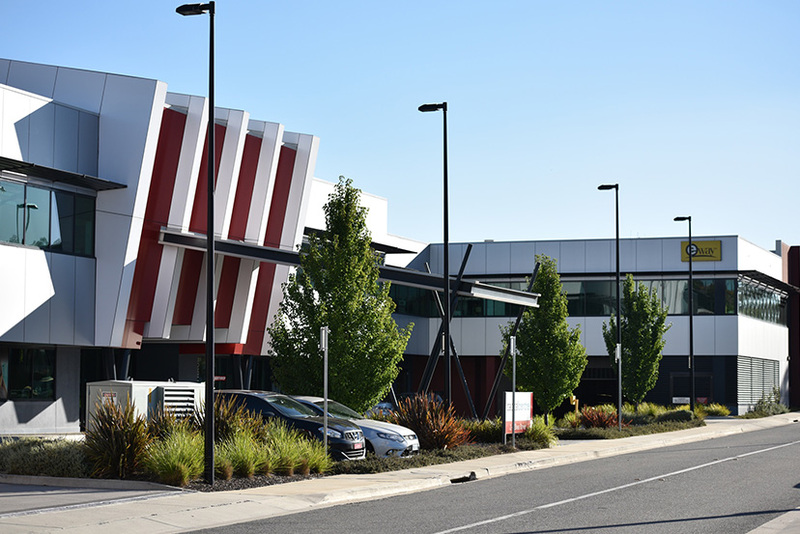 Canberra’s high vacancy rate is exacerbated by the continuing approach by tenants wanting to have the latest and greatest buildings with the very latest in next-generation heating and air conditioning systems, improved parking and lower operating costs. Significant savings could be made by the federal government if they were to review their approach to new leases by investigating a range of options rather than just new buildings. There are some buildings in the ACT that are brand-new and never been tenanted: these buildings are now facing costly system refurbishments before any tenants will take up generous lease up incentives. The ACT‘s Chief Minister has indicated that he has a strong vision for Canberra and wants to develop strategies to attract investment to our city and in the process removing impediments which act as a brake on investment. A 10% commercial rate increase each year won’t help Mr Barr! Whilst the ACT is ideally situated between Sydney and Canberra with good communication links and road links, commercial investment that would attract jobs also needs to be viable. The available pool of employment in the ACT is skewed by the high levels of public service employment, creating a somewhat uncommercial and unrealistic employment atmosphere for those competing for staff in private enterprise. It can be difficult for private enterprises to compete fair and square with often inflated public service salaries creating unrealistic commercial expectations of private enterprise salaries. Most public servants have employment conditions that private enterprise in the ACT find difficult to compete with. Combine these factors with increasing land costs and a 10% rate increase each year and you have a formula for slow growth in the commercial industrial sector. The ACT is ideally situated to be the intelligence hub of Australia developing high-tech commercial and industrial businesses with good access to government but it must be competitive in the process and recent decisions by the ACT government will put a brake on commercial and industrial investment in the region. With Sydney land and home prices escalating the ACT represents a good alternative for businesses and industry to set up and prosper, but it is essential that the ACT government understands this and provides incentives for these businesses to come to the ACT and develop their activities. The ACT has to compete with growth areas like the North western growth corridor of Sydney where commercial and residential development continues unabated in an environment where costs can be controlled. Council rates increased in this region by an average of 2.4% last year. Continual ACT commercial property rate increases that are much more than the CPI rate put a dampener on this potential growth. The ACT is one of the best places in Australia to live. It enjoys close links to major cities and of course the snowfields and should be an attractive place to set up business and to run industry, so it’s important that the ACT government recognises and puts in place the financial incentives to provide the ACT with alternate and broader income streams than relying on the federal public service to determine the outcome of the commercial property sector.